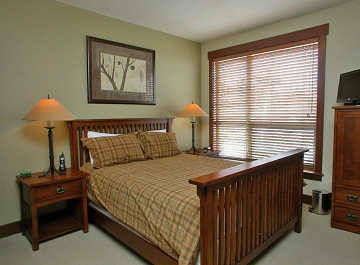 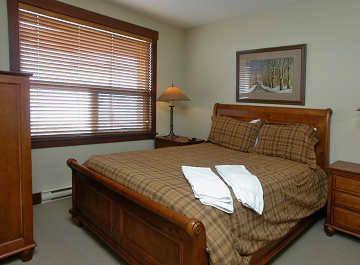 This is one of our 2 bedroom units. 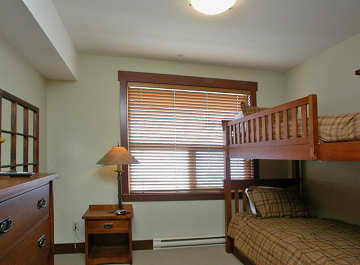 This unit comes with a queen size bed in the master bedroom, a single over a double and a queen bed in the second bedroom. 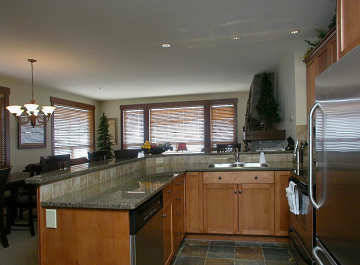 There is a fully equipped kitchen, large living room area and a gas fireplace. 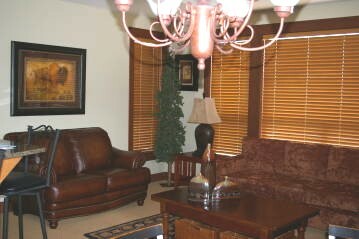 The living room has TV, DVD and CD player. 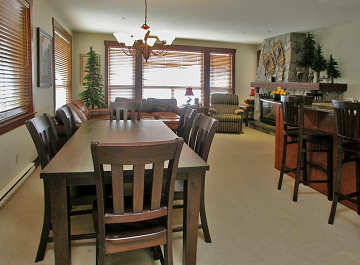 The suite has a private deck with a gas BBQ and hot tub for you to enjoy. 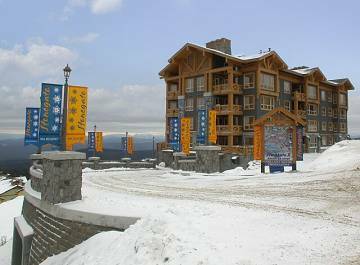 Stonegate Spa and Resort is the perfect location for an excellent slope side vacation with amazing views and great ski in ski out access. 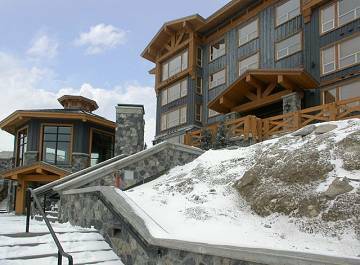 Luxury and comfort have been taken into account when designing these elegant mountain lofts. 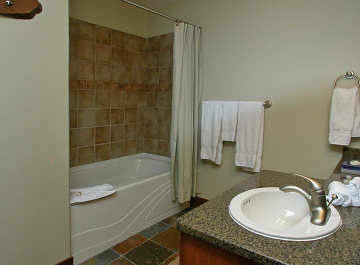 Stone fireplaces, steam showers, granite counter tops and wood accents have been incorporated into all the units along with private hot tubs and steam showers. 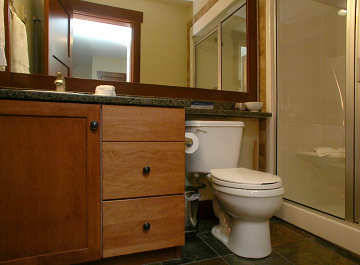 All the units come with pay per use Internet Connection. 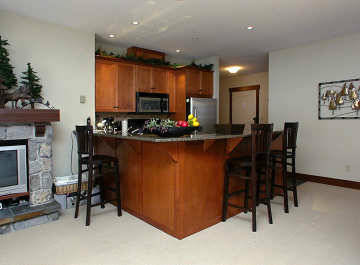 Underground parking comes with the units and resort amenities are soon to be added.